Understanding and identifying if you are in a toxic friendship or relationship is vitally important for your overall psychological wellbeing. A best friend or partner can bring great joy, comfort, peace and fun to your life. We humans are social animals. Healthy relationships help us thrive. We need people to share our good and bad moments with. People who are going to delight in our joy and support us when we are miserable. There is scientific proof that good relationships extend life – a decade-long Australian study showed that participants with stable friend groups were 22% more likely to live longer than those who didn’t have such friends, or were in toxic relationships. Though just what exactly is a toxic relationship? A friend or our partner is happy when we fail, quick to kick us when we are down, and saddened or wary when we succeed. People in toxic relationships are more likely to suffer from high blood pressure, depression, IBS (irritable bowel syndrome), lowered immunity, anxiety and higher blood sugar among other issues. How do you know if you’re in a relationship that’s affecting your health adversely? Why Are We Drawn into Unhealthy Relationships to Begin with? Certain people are more likely to fall in the trap of a toxic relationship than others. People with low self-esteem, for whatever reason, are more vulnerable. These are the type of people that you (think) you can “walk all over”. You get trapped in a toxic relationship because you are afraid to let go. You are afraid of being alone, of having no one in your life. If you don’t agree to go out with a friend, they will get mad, so you go. Then you feel miserable and dissatisfied with yourself. You hang out with old friends just to avoid loneliness. You stay in a one-way relationship for the same reason. You hold on to a man, to whom you aren’t especially important. You’re in a relationship that doesn’t make you feel alive. You will soon grow tired of holding on to unhealthy friendships. Your need for a relationship that will make you feel loved and supported will start to dominate all other needs. Ask yourself this: How do you feel when you are with this friend / boyfriend / girlfriend? Good or bad? Drained or alive? Do they care about what you want? Do they have your best interests in mind? Do they make promises they don’t keep? Do they make fun of you when you share your feelings? If your answers are looking good, you are most probably in a toxic relationship. …Why Do We Stay in Toxic Relationships? We stay in toxic relationships because we tend not to realise that by letting this person go, we are actually doing ourselves and them a favour. We are making new space in our lives, but also in theirs, so they can find someone who is a better match for them. It is always hard to let go of the past, but when the pain of holding on exceeds that of letting go, it’s time to take the plunge. If we don’t, our suffering will begin to reflect on our physical health. Does your phone ring at midnight? Your friend has broken up with their partner (again! ), the cat has died, or something else terrible has happened. You listen and give advice, being the good friend you are. At 1 am, the conversation is finally over. Your friend is getting calm and going to sleep. You, on the other hand, are wide awake. You were sleeping when they called, dreaming of nice things, but now you feel sad, upset and wide awake. This isn’t to say we shouldn’t be there for our friends. It is important to be there for our friends, and showing compassion is a necessity in life. It only becomes an issue when it happens too often. And when it is one-sided. Do you ever call your friend at midnight when you feel sad? Does they pick up the phone? Every interpersonal encounter has an effect on your field of energy. People with positive energy make you feel happy, optimistic and reassured. Then there is those that exhaust and drain your energy. Friends can bring us negative energy, surprising as it may seem. What happens when you go against your better judgment and continue to see people who have become depressive, angry, or pessimistic on a regular basis? In time, you will find yourself being in their mood, and it will start happening more and more often. How do we escape from this vicious circle? Start by identifying people around you who are chronically irritable, frequently put you down or be sarcastic toward you, often try and compete with you, pessimistic, anxious or depressive. These people might be under a lot of pressure, going through a difficult time and these behaviours may only be infrequent. Though if they happen often and their spills over onto you, affecting you, then is when it can become a problem for you. Once you acknowledge the impact of their moods on your emotions and feelings, you’ll understand the extent, to which they affecting you. A toxic friendship or relationship can leave you physically and mentally depleted. You absorb negative energies around you just as you absorb oxygen from the air. It’s pretty simple: when you realize someone is chronically giving off bad vibes, evaluate whether the relationship is serving you or if it is holding you back. If the relationship is negatively affecting you, it would be worthwhile considering removing yourself from the relationship. You do not have to put up with another person’s bad moods on a daily basis, regardless of who the person in question is. If a friend or partner is constantly blue and low-spirited for some reason, it might be time for you to put some distance between yourselves. It may help you to reduce contact with people whom emit chronic negativity. Surround yourself with people who have a positive attitude to life and things in general. It is very likely that people suffering from depression and chronic, unwarranted pessimism gravitate to you, because you have a high capacity for empathy – you are gentle, sweet and compassionate and always try to help out. You are an amazing person. But do realize that your own feelings and energy are important as well. You need to take care of yourself. We must not only give, but receive as well. Now, to the crux of the matter: It isn’t always obvious that we’re in a toxic relationship. Sometimes it is obvious to those around us, but not to us ourselves. Here, then, are 10 signs you’re in a toxic relationship that you slowly and tactfully need to make your way out of. It seems like she’s having fun with her other friends, but not with you. Or your partner, with whom you live, is always down in the dumps when they are home with you, but when they’re out, they’re having a good time and posting fun pics on Facebook, and have forgotten your very existence. Could it be they are using you as an outlet for their negative feelings, and saving the positive ones for others? Now how fair is that?! You call them and they tell you about how lousy or how great their day has been. You try to say something about your day, but they suddenly can’t talk and hang up in a hurry. This might also happen if you try to share your own opinions or concerns. There’s no denying that honesty is important in any relationship, but tact is no less significant. If honesty is delivered in a critical way where they’re often criticizing you and pointing out your flaws, it can get overwhelming. Why do they do it? Their hurtful words are oftentimes projections of what they actually see within themselves. Are you calling them far more often than they you? Do you feel like you’re more interested in speaking and spending time together than they are? Relationships get toxic when the other person isn’t as invested in them as you are. However, the other extreme can be just as bad—feeling stalked by a friend or partner’s incessant demands on your time can be distressing as well. Also, it’s a bad sign if they call and want to get together only when something bad has happened to them. When all is good and well in their world, they seem to have forgotten your very existence. But what about him/her? This person doesn’t even try to recognize their own shortcomings, much less work on changing them. It’s about what your problems are. If only you changed, it would be fine. Your friend or partner is only interested in pointing fingers and blaming you for everything. Being with them can be a lot of fun – laughing, crying, etc. With time, they started getting weird. They flip out so easily now. You don’t know what to do to keep them happy. You’re always being careful, watching your every word; it becomes like walking on eggshells. Compulsive lying can destroy a relationship, even more so when you use your lies against the other person. For example, they accuse you of being crazy or paranoid. They do this to keep you off their trail of lies in a toxic relationship. They keep information from you, lie about it, then accuse you of lying – projection at its finest. It was an amazing connection. You felt such a bond. Now, it’s all ups and downs, and they are at the controls. You feel scared, uncomfortable, worried…then they are suddenly full of appreciation for you again, and you’re off the coaster. What were you worried about to begin with? Everything is fine. Then they snap again. The inconsistency makes you doubt everything you say or do. It can be mind-numbing. It starts affecting your self-esteem as well, which mirrors the movement of an actual roller coaster. You started getting sick of them, figuratively speaking, a long time ago. You just didn’t realize it. Emotional stress can manifest itself in physical sensations when it gets overwhelming. You begin feeling physically sick. The stress is starting to affect your body. You get back aches, headaches, neck pain. The relationship is making you feel weak. Your body continues reacting. You feel anxious, your stomach is always upset. It gets to the point where you can’t even get out of bed sometimes. Good, healthy relationships not only support, but even help improve your immune system. Toxic ones have the opposite effect. This person doubts everything you say or do. They are happy when you fail, and displeased when you succeed. They make sure your self-esteem stays low and spread lies about you. Your low self-esteem makes them feel better about themselves. They lack faith in you. They also lack empathy. They never feel your pain. The crux of the matter is your friend or partner’s superiority complex. Toxic people are filled with self-hatred, which they disguise in the form of contempt. This is a powerful defense mechanism. They make it a point of communicating to you that you are inferior to them. They roll their eyes, curl their lips in disgust, or use a sarcastic tone. The detrimental effects of this are scientifically proven. A study at the University of Michigan on 373 newlywed couples showed that couples who screamed at one another, showed contempt, or withdrew themselves from conflict within the first year of marriage were more likely to divorce. You don’t need this master manipulator in your life. Perhaps it could be you yourself that is the reason for the toxic friendship or relationship. Maybe you are insecure and overanalyse every word, or harbor irrational fears that your friend or partner doesn’t want to see you anymore. Studies show that people with low self-esteem are more likely to be rejected by their friends and partners than those with high self-esteem. If this is the case, it is absolutely okay! It just shows you the things within yourself that you may need to confront and work on so that you can lead more happier relationships. Learn here how to find out how to break free from a toxic friendship or relationship quickly and easily. 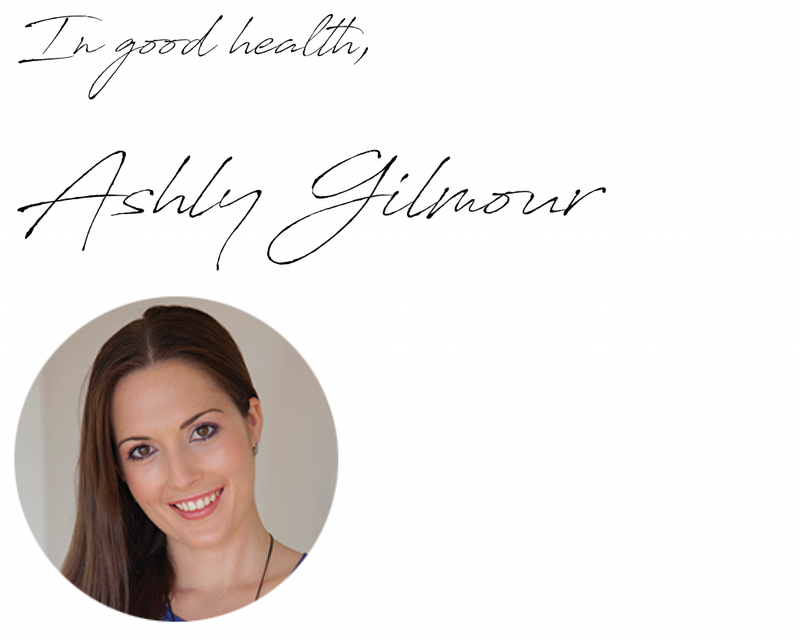 If you find yourself struggling with dealing with a toxic friendship or relationship, contact us today on 07 5574 3888 or email [email protected] to discuss how Ashley our Gold Coast Psychologist can help you to break free from toxic relationships and develop healthier ones!